The 6.56' (2 m) SC to ST Multimode 0.009' (3mm) Duplex LSZH Cable is a Multimode Patch Cable Assembly made of 62.5/125 Multimode fiber optic material. The Cable features color coded connectors for your convenience. 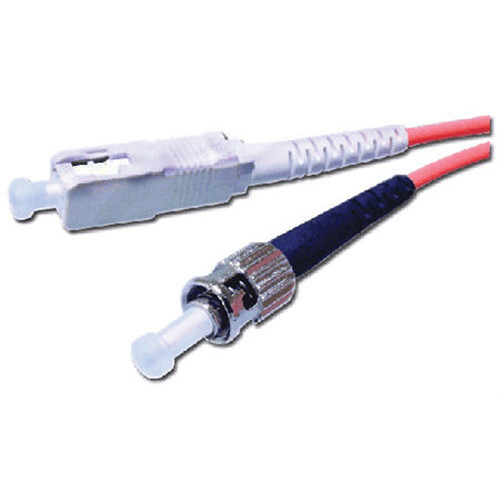 The Duplex LSZH Cable is made of 62.5/125 Multimode fiber optic material. The Cable features color coded connectors for your convenience. Box Dimensions (LxWxH) 7.8 x 6.8 x 0.01"